Among the gravy boats and coffee pots in the service quarters at the Hill House, a fantastic art deco Hoover from 1934 caught the attention of the Project Reveal West Team. When well-known Glasgow publisher Walter Blackie and his family moved into the Hill House in 1904, they employed several staff including a cook, three maids, a nanny and a gardener. The servants carried out a variety of tasks in the household and probably worked long days. Before the introduction of electricity and vacuum cleaners, carpets, curtains and sofas had to be taken outdoors to be beaten and shaken, and even relatively ordinary families would have had domestic staff to help keep their homes clean. Electrical appliances made housekeeping tasks much easier, and this coincided with a decline in the number of people entering domestic service during the first half of the 20th century. Although we are not sure when the wall sockets were installed at the Hill House, we know that the gas lighting was converted to electricity in 1927 and it is probable that these were included at the same time. Today, the Hill House is still cared for by housekeepers who will most certainly be grateful for modern appliances, especially vacuum cleaners! The first upright vacuum cleaner was invented in June 1908 in Canton, Ohio, by James Murray Spangler. After he refined his design and patented the Electric Suction Sweeper, Spangler sold the patent to his cousin-in-law, William Hoover, whose wife had been so impressed by the machine. The Electric Suction Sweeper Company changed its name in 1915 to the Hoover Suction Sweeper Company. 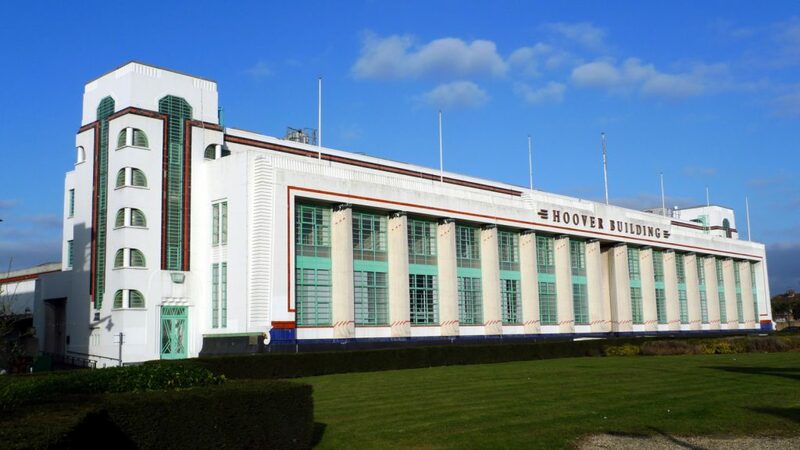 It then expanded to the UK and established an art deco style factory in London. 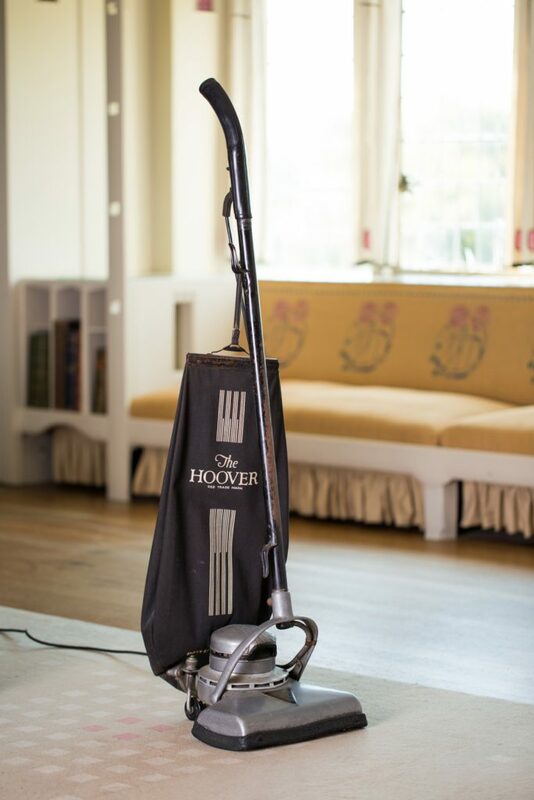 For most of the early to mid-20th century the Hoover Company dominated vacuum cleaner sales in the UK, to the point that ‘hoover’ became the generic name for a vacuum cleaner and the action of vacuuming became ‘to hoover’. Just think, it could have been a ‘spangler’ or ‘to spangle’ instead! 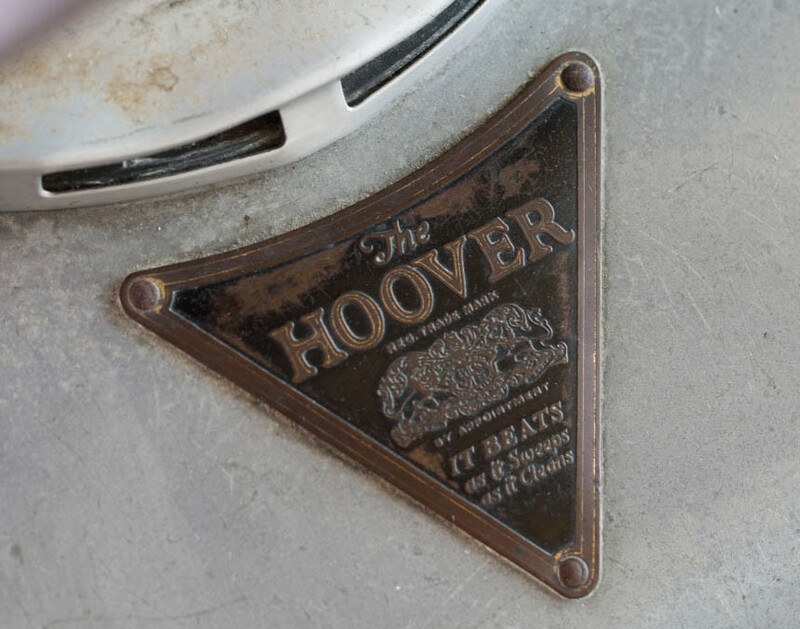 The beater bars in the early Hoover vacuum cleaners made the carpets vibrate while sucking and gave a distinct ‘tap’ sound that was marketed as ‘Positive Agitation’. As it says on the triangular metal plaque screwed on the top of the casing, ‘It BEATS – as it Sweeps – as it Cleans’! What is striking about this object is the simple and elegant art deco decoration. Art deco design originated in Europe in the 1920s and became a major style during the 1930s. The main distinguishing features are simple, clean shapes, often with a ‘streamlined’ look. By the 1930s general mass production meant that even objects used daily such as vacuum cleaners could be made in the art deco style. The geometrical shape and sunrise-like decoration on the body conceals the bulky and clumsy design of earlier cleaning appliances, while the pattern printed in white on the black dust bag reminds us of a city skyline. Although this object is not part of the original Hill House collection, it is a good representative of what may have been used in the early to mid-20th century within the property. 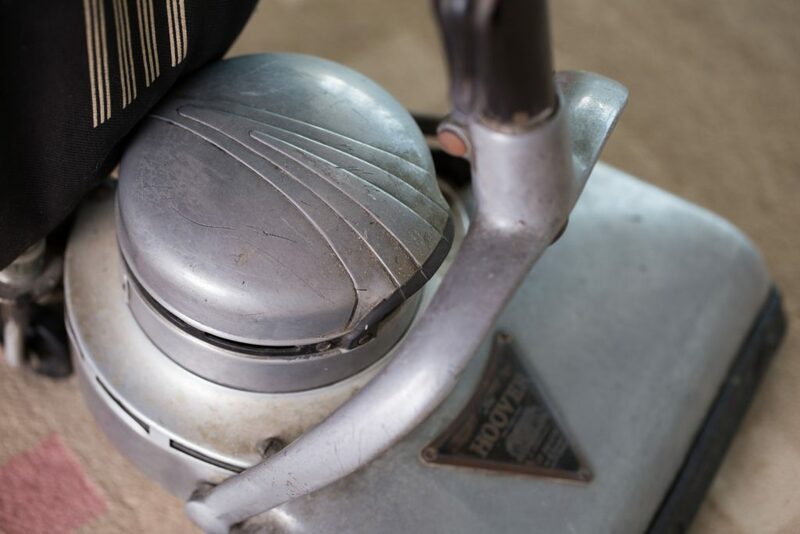 The Hoover is still sought after today among collectors, with many machines still in working order. This article is by Project Reveal Team West. Project Reveal is a multi-site digitization project of unprecedented scale. With your support, we can help the Trust manage its collections more effectively. Most important, we can help the Trust discover, better understand, and share its treasures with the world. Originally published by the National Trust for Scotland on August 17, 2017.